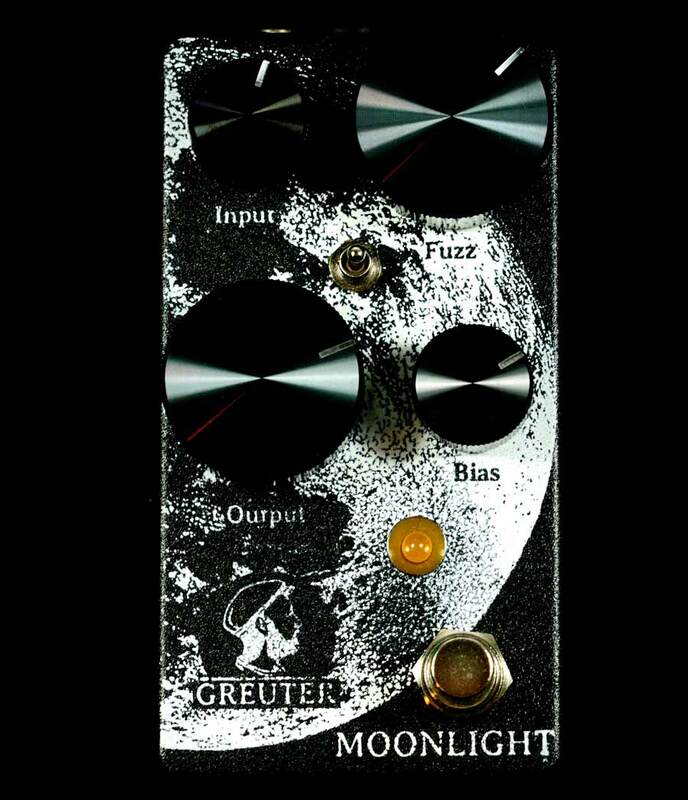 The Moonlight is the Greuter version of the legendary Fuzz Face. Since an original Fuzz Face is not always easy to use, we designed the moonlight to adapt better without loosing the vintage character and feel. 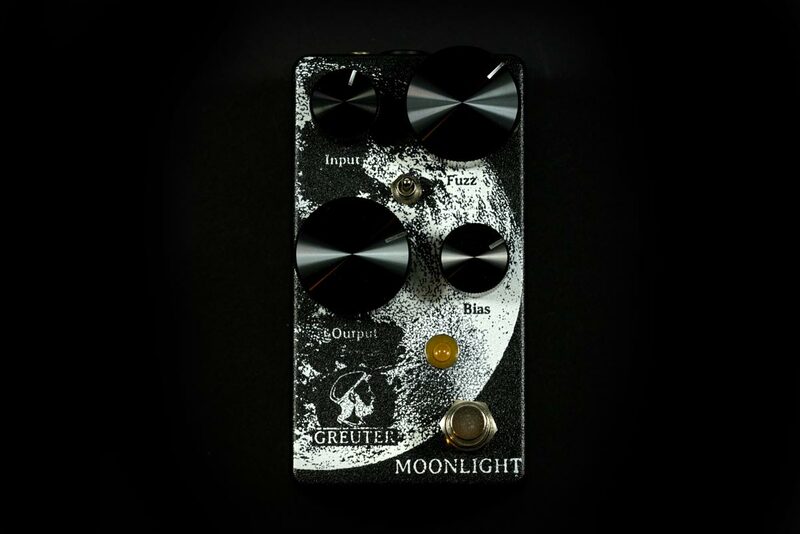 The Moonlight works very well with your guitar volume pot. 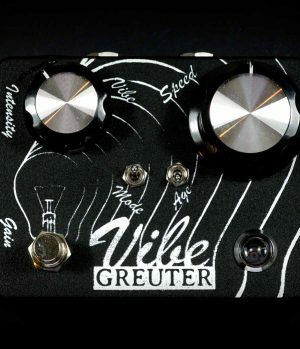 Set a fuzz sound you like and roll down the volume on your guitar and get wonderful clean sounds, dirty but dynamic overdrive or classic fuzz sounds from just your volume pot. The „Input“ Control sets the input impedance. 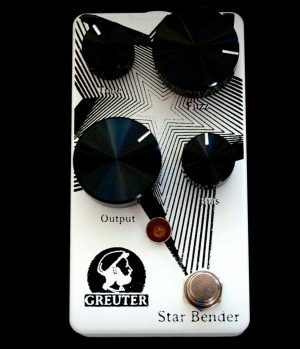 Similar as if you would roll down the volume of your guitar, the fuzz cleans up. That let’s use the pedal as a low gain overdrive even if you plug in a guitar with high output pickups. 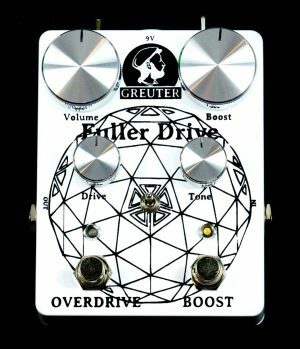 With the „Bias“ control you can dial from a higher gain fuzz with fizzier top to lower gain almost overdrive with more headroom and more output volume. And in-between there you find your favorite. The Bias is also a great help to find your sweet spot in any situation, since the Germanium Transistors are sensitive to temperature changes. 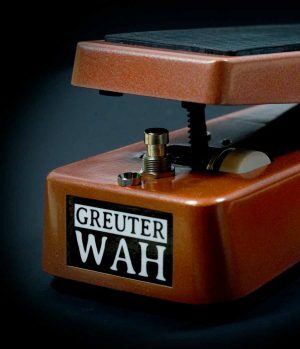 The 3-way switch controls the bass. On the left you have the classic Fuzz Face setting with most bass. On the right the bass is cut but still full and round. In the middle it has even more bass cut for more definition. 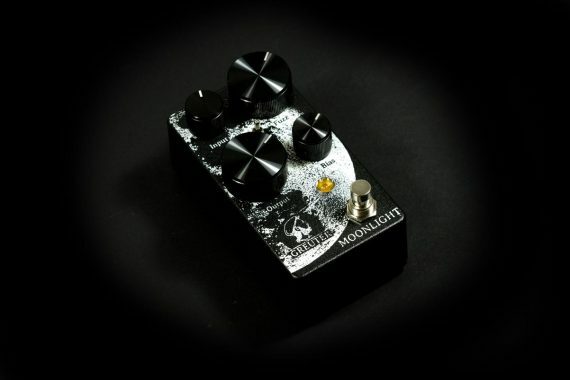 This pedal does perform best when first in the signal chain, just after the guitar. It doesn’t like buffers. But it likes overdriven tube amps and overdrive pedals. The russian germanium transistors are selected and matched. Every pedal is fine tuned by ear. The Moonlight is hand built in Switzerland. It has a voltage inverter so it can be powered by a “normal” power supply (9V DC, center negativ). We suggest a regulated and isolated supply. No batteries.